This is probably not your first time encountering the name John Appleseed since it is usually associated with the Apple brand. But even so, the connection between the brand and John Appleseed still remains to be uncovered. John Appleseed – A Marketing Strategy? Although the name often pops out in the history of Apple, people from this giant company have not in fact released an official statement regarding this matter. Many people have searched this name on various search engines. A lot of researchers think that this is just one of Apple’s marketing campaigns to increase talks regarding the release of their upcoming products. John Appleseed is Mike Markkula? 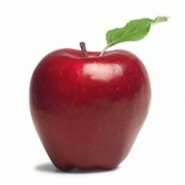 Website analytics have shown increased page visits on websites that tackle John Appleseed. When enough digging on the internet was made, a link between Appleseed and the former CEO of Apple who was Mike Markkula has been established. People claim that Markkula used John Appleseed as his pen-name. Apple’s first ever logo actually had Isaac Newton in it. This might be because of the association of Newton and the apple falling down from a tree which led him to the realization of the existence of gravity. What other people do not know is that in order for the company to have funds creating the first ever Apple units, an employee had to sell a calculator. Calculators during those times were already very sophisticated as they would probably cost as much as a laptop today. Since the time Apple released its first product, prices were already exceptionally high. The first ever Apple computer cost $666.66. Apple claimed that there is definitely no satanic meaning to the price. It was just a practical pricing strategy. The term iPod was actually coined by Vinnie Chieco who was a copywriter for Apple. Although Steve Jobs was the one who thought of having a thousand songs in the pocket idea, the name iPod is definitely something that people have grown into. Today, iPods are not only capable of playing music but there are also games and the gadgets can even access the net to check your Facebook page. Many people also associate Apple with Macintosh. One of the employees who worked for the company before, in point of fact, made a brand of his favorite Apple as the reference. The Apple brand was McIntosh. Steve Jobs also attempted to change the name but luckily, he wasn’t able to do so. People are really fascinated by the Apple brand and everything related to it.